Deep Rug & Carpet Cleaning Company Blackrod BL6 | Quality Property Care Ltd.
Bring back your beautiful rugs with the help of a professional carpet and rug cleaning company in Blackrod BL6 Has your stunning rug lost its bright colours and looks worn and dull? There quick and easy solution for you. Quality Property Care Ltd., a rug and carpet cleaning company which delivers high-quality residential and commercial carpet and rug cleaning in Blackrod BL6 and the region. The rug and carpet cleaning services are delivered with the newest cleaning technologies and secure cleaning solutions. The professional carpet and rug cleaning team offers carpet stain and spot removal, dry foam carpet cleaning or shampoo carpet cleaning for all kinds of carpets and rugs. Trust the trained and vetted cleaners to offer you top quality services at the best rug and carpet cleaning prices in the region. Call the expert customer service line or send an online require for a 100 % free estimate, and you will get an offer in 2 hours! The company Quality Property Care Ltd. also can provide professional mattress cleaning, bed bug mattress treatment, curtain cleaning, drapery cleaning and blinds cleaning. In fact, if you book a merged cleaning service, such as mattress cleaning plus deep carpet cleaning, you will get a big discount from the selling price of the service. So, don't wait and ask for that totally free quote or book your combined cleaning service today! In terms of rugs we clean Wool rugs, Persian rugs, Chinese rugs, Tibetan rugs, area rugs, handmade rugs, shaggy rugs, silk mix rugs, Indian rugs, Turkish rugs, Egyptian rugs, play rugs, entrance mats, floor mats, logo mats, antique rugs, rubber mats, industrial mats and anti fatigue mats. The first thing you need to do to minimize the stain reach and the potential damage, is to blot out the stain with a piece of cloth or paper. From edges in blot out the stain and check the paper or cloth or paper to see if it’s transferring. 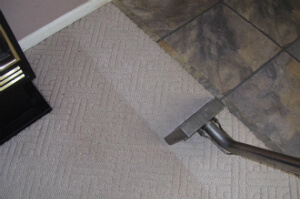 This will draw out most of the spot and leave just a small quantity for us to remove which make our job easier and your carpet’s chances a lot better. Once we get there we examin the carpet and determine which cleaning agent will do the task. The carpet is cleaned with a hoover to remove any debris and prepare the fabric for cleaning. Once hoovered we apply the cleaning agent on the spot and let it sit for a while so it can react with the stain and help lift it up from the fabric. To remove it all we use a small nozzle and our highly effective hot water extractor which blasts the area with a hot steam jet while simultaneously drawing all of the gunk and filth, as well as water, out with a powerful vacuum. Nothing of the stain and detergent is left, with only about 5% of the moisture used to thoroughly clean left to evaporate the natural way. Depending on the day and thickness of your carpet, the process should take anywhere between 3-4 hours. 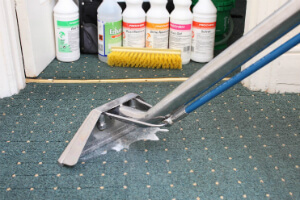 If you are in Blackrod BL6 or the region and you demand professional residential or commercial carpet and rug cleaning, bed bug mattress treatment, mattress cleaning,, curtain cleaning, blinds cleaning, drapery cleaning, or a combination of Two or more of these services, all you need to do is call the client care service at this number 020 3746 4287 or complete and send the online booking form, and you will get written verification via e-mail and sms as soon as possible! Same day reservation is possible, as well as booking on weekends and bank holidays without any price raise. Book your professional carpet and rug cleaning service today!